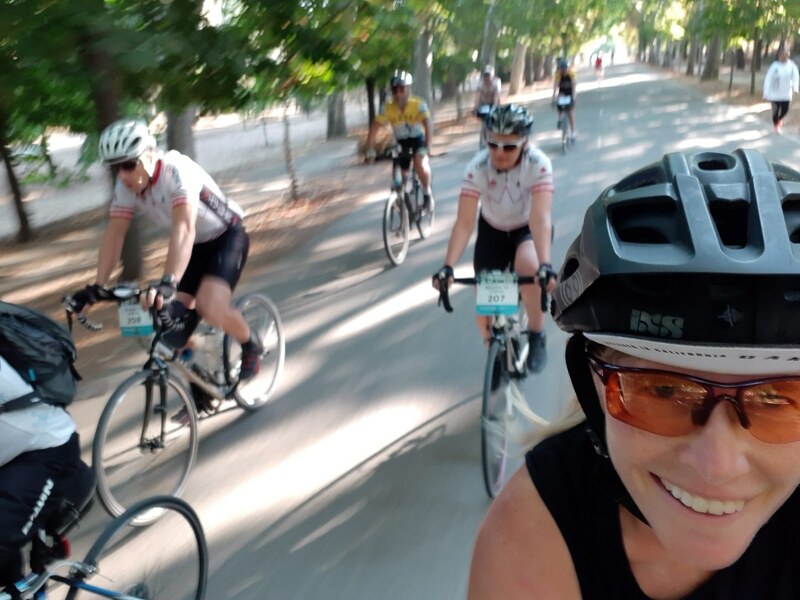 The 2018 TDA Trans Europa reached the finish line in Lisbon, Portugal last Friday, signifying the end of 5 full tour riders’ epic 2.5-month journey across Europe that began in early July. What’s really incredible about this year’s tour is that every single full tour rider achieved EFI. There are some difficult riding days on this tour and yet I can honestly say there wasn’t a single time that any of our riders even came close to contemplating getting in the van for a lift to camp. Mark, from Juneau Alaska, did the full Tour d’Afrique a couple of years ago and decided to come back and do another one of the (in his own words, “slightly more luxurious”) 7 Epics. He’s a strong cyclist for someone who doesn’t ride much at home, enjoys a healthy mix of riding alone and riding with the group, and has an obsession with getting submerged in water. Whenever he arrived at camp or the hotel, Mark’s first mission was to head straight to the beach or find a local swimming pool. And after approximately 120km of riding each day, I’d say he’s earned it! This was also Seatlite Rick’s second TDA tour, after riding from Victoria Falls to Cape Town on last year’s Tour d’Afrique. 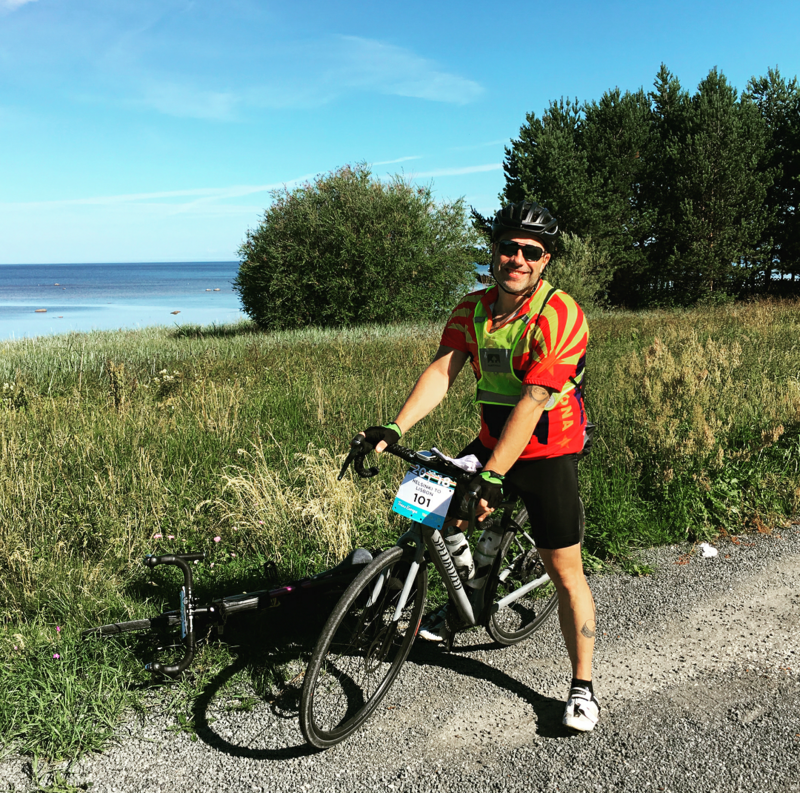 In fact, right before cycling out of Helsinki with the Trans Europa at the start of July, Rick did his own little self-supported cycling tour near Tromso in northern Norway with a dozen fellow cyclists who all met each other on the 2017 Tour d’Afrique. 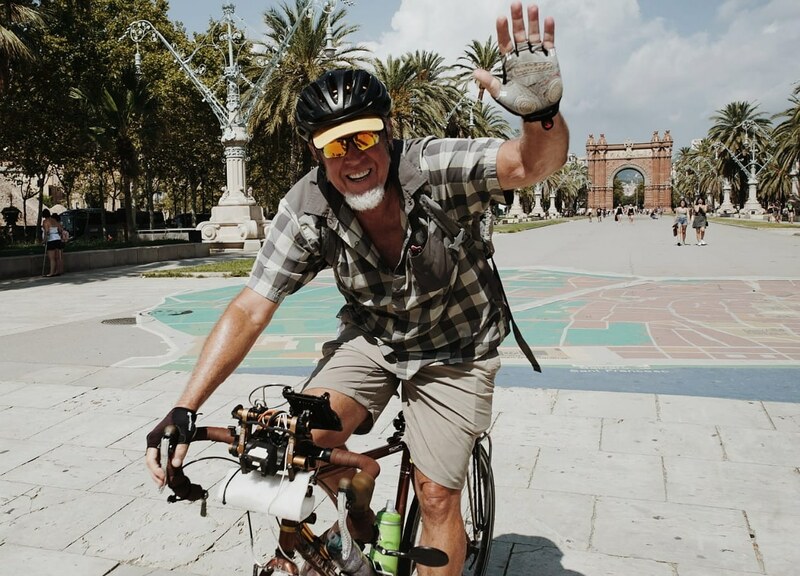 As if he hasn’t had enough of the saddle yet, Rick’s now flown from Lisbon to San Sebastien, where he will cycle through France to Paris, and then take a train down to Italy to do another cycling tour from Rome to Como. We wish Rick the best of luck on his continued European cycling adventure! Canadian and first-time TDA rider Scott’s achievement of EFI was especially remarkable because he was unfortunate enough to have some ongoing bicycle issues right around the middle of the tour. Luckily it never prevented him from riding the full day, nor did it prevent him from staying positive and enjoying himself throughout the tour. Upon reaching Lisbon, Scott celebrated by getting a couple of tattoos on his calves for his parents, done by a renowned Portuguese tattoo artist. 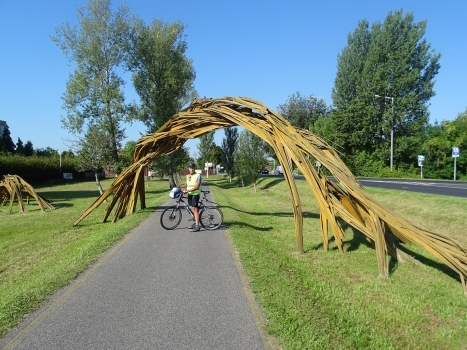 This tour was also a TDA first for Kiwi rider Jo, a.k.a. 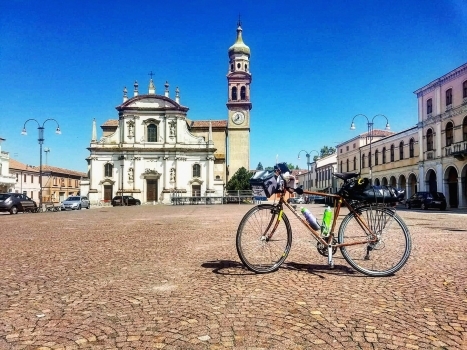 “The Aged Athlete”, who spontaneously signed up to the Trans Europa at the last minute and has really made the most of each and every day she has spent cycling from Finland to Portugal. Not only did she keep TDA staff on our toes (you couldn’t afford to dawdle too much while flagging or setting up lunch; because Jo was never far behind!) but her blog was always wildly entertaining and perfectly captured each day’s events for everyone following the tour back home. 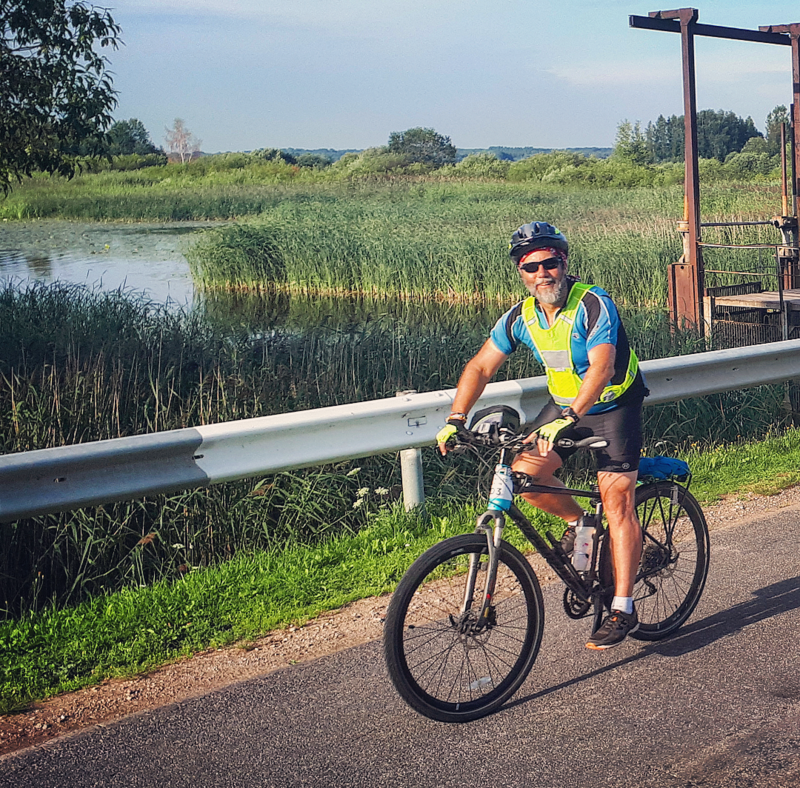 And last but not least, Jeff did the TDA Pub Ride and TDA Trans Europa back-to-back, spending his entire summer riding his bicycle around the UK, Scandinavia, Eastern Europe, the Mediterranean and finally the Iberian Peninsula. Jeff was never in much of a hurry to get to camp, preferring to spend his day on the road, interacting with locals, stopping for Coke stops and searching for ice! 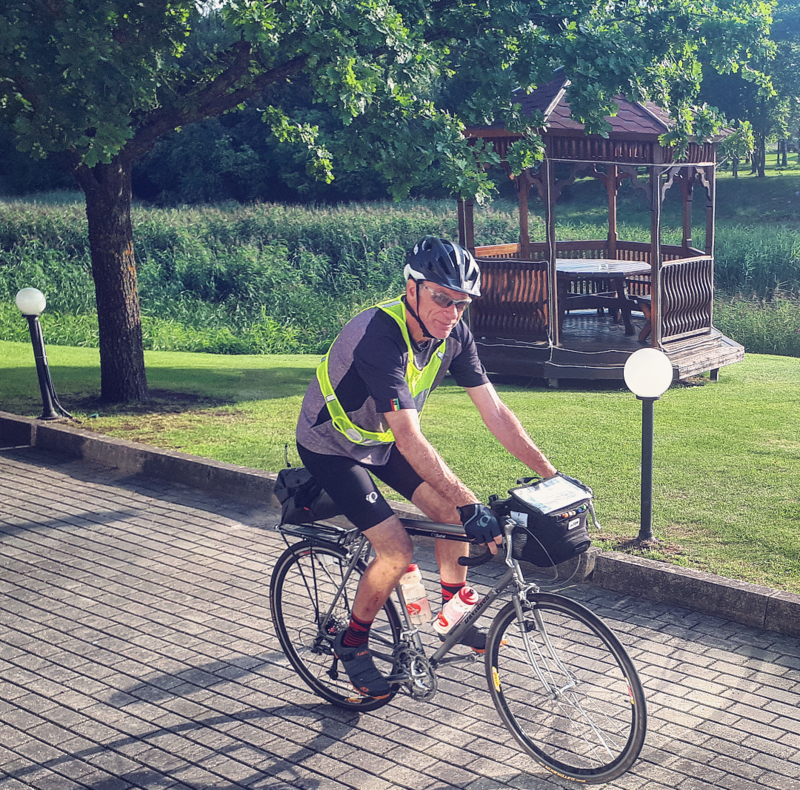 Jeff’s no stranger to bike touring, however normally he has to carry everything on his bicycle and plan his own route, so I think being able to explore Europe by bike with those things taken care of was refreshing. He also opted for his hammock over pitching his tent most nights, and thankfully we were extremely lucky with the weather on this tour so as long as he could find two sturdy trees, Jeff was good to go! 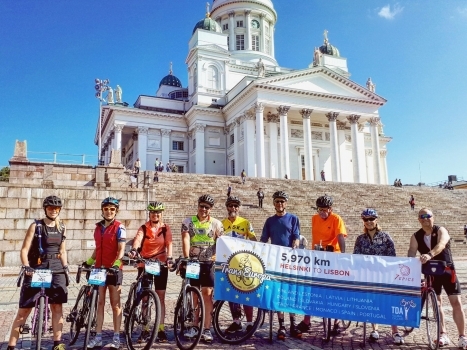 These people are very strong riders but beyond that, they have proved a point – cycling +100km a day isn’t as absurd and impossible as you might think. TDA has a vast range of alumni clients of all ages, sizes, backgrounds, fitness levels and head spaces. Just about the only thing every single TDA rider over the years has in common is that they were willing to push themselves to achieve what we often hear on these tours is “too far”, “too hard” and “too extreme”. So to anyone whose only objection to signing up for a TDA tour is their lack of confidence in their own abilities, remember that half the riders on the 2018 Trans Europa were complete strangers to this sort of thing, and yet every one of them rode Every F*#^ing Inch! 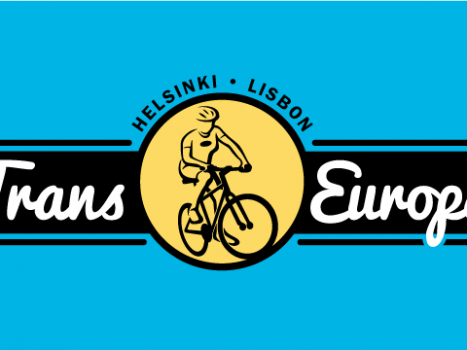 Once again, congratulations to everyone who joined us on this year’s Trans Europa and keep riding! 3 Comments for "High-Five To Our Five EFIs"
Such magnificent efforts from five outstanding cyclists. From a fellow longhaul cyclist. Sure wish that attitude was on the Silk Road 2018 ride . Wonderful accomplishment from fellow EFI . It’s a mental and physical test from TDA .